Top speakers tackled thorny race controversies at a London conference attended by 200 Black activists and intellectuals last week. 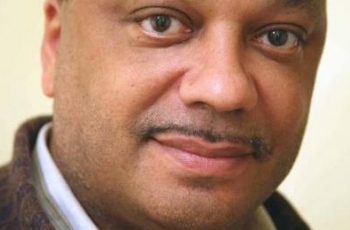 Anti-racist campaigner and journalist Marc Wadsworth fired a broadside at the 27 African Caribbean and Asian members of the British parliament elected last May. The-Latest editor said: “We don’t have Black MPs in this country, but MPs who happen to be Black.” Wadsworth, keynote speaker at the sixth annual Huntley Conference, said the MPs are “invisible”. He asked: “Does anybody know where they are or what they do? I don’t see them in the news media raising our concerns or even those of their constituents.” The former leader of the Labour Party Black Sections, whose successful campaign in the 1980s led to the historic election of four Black MPs in 1987, said Black leadership in the UK was on the “Wanted” list. Wadsworth said the problem with the current Black MPs was that: “Their allegiance to party leader, in the hope of preferment based on patronage, is more important to them than promoting the interests of the Black community. They’re on the parliamentary gravy train." The veteran writer and broadcaster, who has been a university lecturer for a decade, went on to praise the students who last year mounted large protests against increases in student fees and government cuts in public spending. He discussed modern youth culture, backing up his challenging observations with alarming figures for youth murders and a personal anecdote that did not leave a dry eye in the room. He told of the anguish caused when his 15-year-old son was stabbed in a "post codes" dispute and how he saw him in a hospital emergency room, not knowing if the teenager would live. The father-of-three went into detail about the peer pressure on young people to live up to a “bad-boy” image where lives were lost in turf wars over the neighbourhood in which a young person lived. Wadsworth urged parents and all adults in society to take “ownership” of the problem and help solve it. He was optimistic about the future, citing "the massive and wonderful opportunities offered by the internet to spread democracy, people power and make sure that voices that big media ignored were heard". Wadsworth said he was proud that The-Latest was part of this youth-led social networking that included Facebook, YouTube and Twitter. He said the revolution in Egypt would not have been possible without it. Wadsworth added: "We need an Egypt here. Who elected our (the British) head of state, the queen?" Other speakers included broadcaster and writer Darcus Howe, educator Samira John-Bailey, journalist Mia Morris and Richard Wiltshire and Maureen Roberts, of the London Metropolitan Archives, who explained the importance of preserving records of people lives for generations to come. Note: The conference is named after Jessica and Eric Huntley, a Guyana-born couple who have been political campaigners for Black rights for longer than the 60 years they have been married. Main picture: The-Latest editor, Marc Wadsworth.